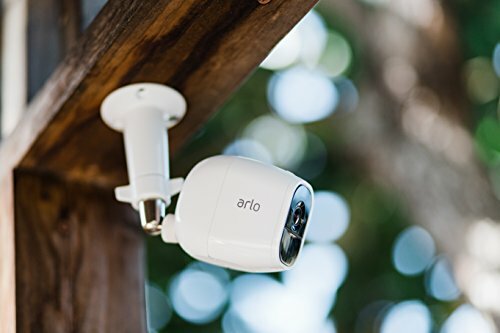 As a homeowner looking for a little extra protection, I recently began searching for security cameras online and quickly got overwhelmed by all the choices. All I really wanted was a simple and familiar camera I could use to monitor the front of my home. That’s when it occurred to me, why couldn’t I just use my old GoPro camera to do this? After all, the quality of the video is great, the field of view is excellent field, and I already know how to use it. Not to mention the fact that repurposing an old camera would save me some money. With a bit more research, I figured out what it takes to convert a GoPro camera into a security camera and created this article to help you quickly do the same thing. Using a GoPro as a security camera is a simple, convenient and inexpensive way to monitor your home or different rooms in your home. Yes, there are dozens of dedicated security cameras or webcam monitors on the market that you can buy. They will do everything from checking who is at your front door to allowing you to secretly monitor what your kids, pets, nanny or elderly parent is doing. But how much do you want to pay? Well, if you’ve got an old GoPro camera sitting in a drawer somewhere gathering dust, you can save yourself a bit of money by resurrecting it and putting it to good use to monitor your home. GoPro cameras also have the advantage of having a wide field of view and excellent video resolution. Should you ever need high quality video footage to identify a suspect trying to break into your home, it’s nice to know that your GoPro camera was designed to do just that. If all you really care about is just being able to see who is at your front door or what your kids or pets are doing outside or in a room when you’re home, then setting up your GoPro camera as a simple monitor only takes a few minutes and is pretty easy to do. If you want your GoPro camera to capture security footage of your house or a room in your house throughout the day, then you’re going to need a little more complex set up that requires investing in a video capture card that allows you to continuously record the video you capture from your GoPro onto your computer. This isn’t necessarily difficult, but it does take a few more things and time to set up. See steps below. 1080p or 720p at 30 frames per second. You don’t really need anything higher than this if you plan to record your videos. Going higher will mean that you’ll use up a lot more storage space, especially if you select 4K output. Both 1080p and 720p options provide HD quality output which should give you the clarity you need. If you’re shooting at low light, make sure to turn the Low-light function ON as well as Protune and set a higher ISO for the videos. Set camera up for looping so it continually records and starts re-recording when your SD Card runs out of space. Note: Unlike the option to use your GoPro as a security camera (described in next section), you can only record in up to 4 hour increments depending on the size of your SD Card. Once your SD Card is full, the camera begins re-recording on your card, erasing the previous segment with the latest one. The security camera option allows you to record as much as you want of your footage without erasing it. If that’s what you want to do, skip to the next section. Enable the WiFi – if you need to find or reset the WiFi password on your camera, you can follow the steps in this “How to Reset Your GoPro WiFi Password in Less Than Two Minutes” article. If you are using a tripod, attach the camera to the tripod and place it in a location that captures the room or scene you are trying to monitor. If you are using the adhesive mounts, attach the adhesive mounts to the housing and position in the room accordingly. You will want to make sure that your power outlet is in a location where you can easily reach from your camera using the MiniUSB to USB cable and USB extension cable. Note: before you affix anything permanently, you should test the location by positioning the camera where you want it to be, and then using the GoPro App (described in Step 4) on your phone or tablet to connect to your GoPro via WiFi. This will allow you to see the live feed on your phone or tablet and reposition your camera until it is capturing the scene in the way you expect. Plug the MiniUSB to USB cable into your GoPro camera and the extension cable. Then plug into the wall to provide continuous power to your camera. Download the GoPro app to your SmartPhone or tablet and use it to access your camera through your WiFi connection. This allows you to see live footage of what your camera is recording at any time through your cell phone or tablet. Here’s a great video that walks you through the exact steps described above in documenting how someone turned their GoPro 3 Silver camera into a baby monitor. Capture card to capture video footage from your GoPro onto your computer. DIGITNOW is a great option for this. Go to “Preferences,” find “OSD” and disable the On-Screen Display. On your Hero 5, go to “Preferences,” scroll down to find “HDMI Output,” then select Live. Note: before you affix anything permanently, you should test the location by positioning the camera where you want it to be, and then using the GoPro App on your phone or tablet to connect to your GoPro via WiFi. 3. Plug the GoPro USB cable into the nearest wall outlet using the 5V charger. 4. Plug the microHDMI cable from your GoPro to your capture card. It’s best to have your laptop or desktop computer close to your GoPro so that you don’t have to purchase an extra long HDMI cable. Make sure the HDMI port you plug into is a 3.0. 5. Install card drivers on your computer if required. 7. Start OBS software, scroll down and right-click on “Sources” then “Add -> Video Capture Device” and enter GoPro. A new window will open where you can select your video capture card. 8. For audio, also choose the capture card unless you are planning to use an external microphone. Press “OK” – you should now be able to see a live feed on your computer. Under “mode,” select “file output only” (for recording videos to your computer) and select the path where you want your videos to be saved. In my article on using your GoPro camera as a security camera or surveillance monitor, I tried to keep things simple and the costs low. However, here are a few more things you can do with your GoPro camera to either make it more hidden or record more efficiently. One thing you can do to cut down on the amount of video footage your camera records is get a GoPro motion sensor so your camera only records when it detects motion. If you want to create a GoPro hidden camera set up, you can definitely do that with a little creativity and ingenuity. If you have a old SmartPhone or tablet lying around taking up space, you can turn those devices into simple DIY home monitoring devices that also allow you to monitor things remotely and receive alerts if they detect any suspicious activity. 1. Determine what area or room in your house you want to monitor and then figure out where you need to place your phone or tablet for the best viewing angle. You’ll want to make sure you place your device close to a power outlet so that you can easily plug it in when it needs recharging or simply leave it plugged in so that you don’t have to worry about the battery dying. 2. Make sure your device is connected to your WiFi network. 3. The one last thing you’ll need is a program that can transmit the video from your phone or tablet to the web. The Manything app is a free app that allows you to view footage from your device from anywhere with an Internet connection. It’s free to use on one device. In addition to allowing you to view the video, it can also be set up to detect motion and alert you automatically when this happens. The paid version also allows you to save your recordings in the cloud and install the app on multiple devices.